In a sit down interview, right here on WGMU, Lancers Head Coach Bill Reinson talked about his teams strides over the last few season and into tonights contest. This evening Longwood, an independent Division I school, sets themselves up for a match up at 7pm with the Patriots. Currently George Mason holds the overall series record at 8-2. Both loses coming on the road at Willet Hall in Farmville, VA.
George Mason’s next women’s home game will be Sunday, November 27th at 2pm. Tune in to WGMU for radio coverage by the Gomason digital network. It’s that time of the year and WGMU is once again excited to announce that it’s the flagship station for George Mason Men’s and Women’s Basketball as a part of the Go Mason Digital Network! Be sure to tune into wgmuradio.com 45 minutes before all Women’s games for The Coaches Report, Pride of the Patriots, and be sure to stay tuned for the halftime report, and for all Men’s games tune in 15 minutes before for the Pregame Report! Make sure to download the GoMason app so you can tune in to hear all the Men’s and Women’s Basketball games on your iPhone, Android or Blackberry and also check out www.gomason.com to stay up to date with all Mason Athletics. It’s that time of year again! 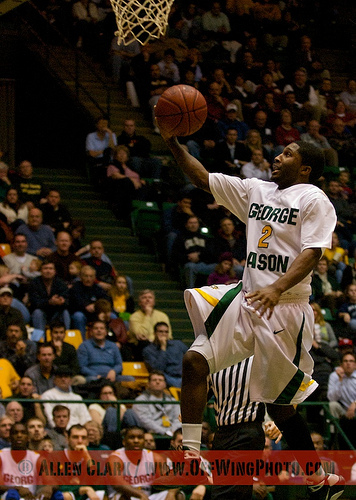 Mason Madness starts Friday at 9:30pm in the Patriot Center and signifies the start of the basketball season! Sports Director Tyler Mauro and some others will be LIVE broadcasting Mason Madness courtside at the Patriot Center. 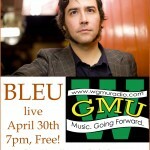 Look out for them and if you can’t make it, tune in at www.wgmuradio.com as always! This year again WGMU is excited to announce that it’s the flagship station for Men’s and Women’s Basketball! We’re part of the Go Mason Digital Network! Make sure to download the app so you can tune in to hear all the Men’s and Women’s Basketball games on your iPhone, Android or Blackberry. Also check out www.gomason.com to stay up to date with all Mason Athletics. Today is national College Radio Day! Listen to and support WGMU today and everyday! College radio is one of the last free forms of speech left in this country. College radio is a place to support the stations that break the bands you love to listen to today, so support WGMU and college radio everywhere!! The original idea for College Radio Day was conceived by Rob Quicke (General Manager, WPSC FM, William Paterson University, NYC market), and was founded in December 2010 by Rob Quicke and Peter Kreten (General Manager, WXAV FM, Saint Xavier University, Chicago market). The aim of College Radio Day is to harness the combined listenership of hundreds of thousands of college radio listeners throughout North America and to celebrate the important contribution of college radio to America’s airwaves by uniting for this one day. The organizers also hope that College Radio Day can also be used a fundraising vehicle for those individual stations that choose to participate, benefitting from the extra attention their station will receive on that particular day. Being a participant in this day is free for all North American college and high school radio stations (AM, FM or online) so that together, for one day, we can lift the national profile of an important form of North American media: college radio. College Radio Day is a not-for-profit organization and is not owned by any other organization or corporation and is entirely organized by volunteer staff members from the many college radio stations throughout North America. This day is organized by many people whose passion for radio fuels this event. It’s a day of celebration. It’s a day of live music and special interviews. It’s the day we all come together. New School Year Means New Opportunities at WGMU!! Well it’s a new semester and with that we have some great job openings. If you want to get involved on campus, work in a great environment with student leaders in new offices, a new on-air studio and work with other student organizations/university offices then join the WGMU team! Want an official title with one of the most well known on-campus organizations where you’ll get amazing hands on experience? Want to network? Then apply! No matter what your major is, WGMU has a place for you. You must be a student at GMU to apply and there are no specific major requirements for any of the positions listed. All of the volunteer gigs are a great way to start out and can potentially lead to a paid position in the following semester with us at WGMU or possibly one within student media. On-air broadcaster: WGMU is always looking for DJ’s to host shows and it’s the best time to join! We have all new equipment in our on-air studio! Ever wanted to have your own radio show? Want to play the music you want to hear? Have a talk show talking about what you want to talk about? Well you can do that all here with WGMU, even if you don’t have previous experience. The position is for volunteer experience. Special Coordinator for External Affairs: A very vital position within the station that works with all bands, artists, management of bands/artists and etc. that are interested in being on WGMU. This individual is WGMU’s liaison to all those interested in being interviewed on WGMU that are not from the local area. The position also works closely with on-air DJ’s in the coordination of setting up possible interviews. This position also has worked with authors, movie directors and other organizations in the past that were interested in coming on WGMU. This position has the potential for stipend payment. Special Events Coordinator: This individual works with the Program Director/General Manager, Promotions Director and/or other WGMU staff in the coordination and organization of WGMU’s special events. These events include, but are not limited to concerts, competitions, events that WGMU participates in such as Mason Day and etc. This position is for volunteer experience. Advertising Officer: Are you interested in working in the advertising world one day? 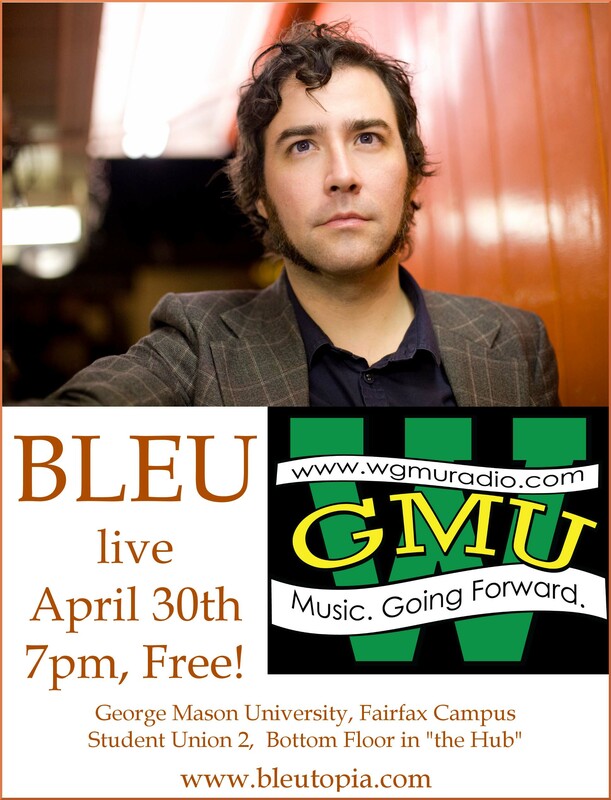 Get started right here at George Mason’s WGMU. Work with a great team and get to interact with local businesses and organizations. Sell air time for WGMU and web spots. The position is paid by commission of what’s sold, small quota to meet and work on your own time. Director of Web Development: Are you an IT or web design student looking to get experience managing and administrating an organizations website? We’re currently looking for a student who has experience using Word Press, or has a keen interest in web site design and management. The individual will be responsible for working with WGMU members on uploading content, design and making sure the website is kept fresh and up to date. This position is for volunteer experience and can lead to some great opportunities. Assistant Manager: Are you interested in gaining management experience? Want to do a little bit of everything? The position entails assisting in the day to day operations of WGMU and working closely with the Program Director/General Manager and Assistant Program Director. This individual will gain direct management experience by working with the Program Director to oversee the general staff of WGMU. The goal of the position is to ensure that WGMU is moving forward with its goals, while continuing to uphold its high level of entertaining and professional broadcasting. They would also at times represent the Program Director/General Manager at meetings and work to make sure the staff is keeping up on assignments and etc. Even if you’re not interested in radio, the position is great for those interested in administration and management. This position is for volunteer experience and can lead to some great opportunities. Convergence Director: Interested in working with all of the student media organizations? Then join the WGMU team as our convergence director! In this position you would be WGMU’s representative to the other student media groups such as Connect2Mason, the Broadside, Mason Cable Network, the literary journals and etc. to figure out ways how we can all work together to share content and become more integrated. The position is vital to Student Media’s new goal of convergence by sharing content and collaborating on various exciting projects within the university community. The position would have a lot of creative freedom and entail working directly with other student media leaders. This position is for volunteer experience and can lead to some great opportunities. Assistant Music Director: Do you love creating your own play lists? Have you ever wanted to work with record labels and those in the music industry? Just have a passion for music in general? Then this gig is for you! We’re looking for individuals who want to design and create music blocks for our on-air program schedule, along with assisting in the day to day operations working with record labels, reviewing music for on-air play and etc. This position is for volunteer experience and can lead to some great opportunities. Assistant Promotions Director: Want to get your hands into the marketing world? WGMU is a great place to start! Work with on-campus organizations and collaborate with the rest of the WGMU staff to reach out to our local community to promote the station. Join the promotions team! This position is for volunteer experience. Assistant Local Music Director: Are you into undiscovered talent? Ever wanted to work with bands/artists that are unsigned that you know will be huge one day? Well then this job is for you! Work with the Local Music Director in reaching out to local DC Metro area artists. Get experience in booking bands, organizing shows and events, interviewing, getting to attend some great concerts and working with a great team here at WGMU! The position is for volunteer experience and can lead to some great opportunities. Assistant Production Director: Ever wanted to learn how to make a commercial? How to do those cool effects? Interested in behind the scenes production of a radio station? Then this is for you! Become a vital part of our staff in ensuring your radio station sounds professional. This position is for volunteer experience and can lead to some great opportunities. Assistant Sports Director: WGMU is part of the Go Mason Digital Network and broadcasts GMU’s Men’s and Women’s NCAA Division I basketball games! We also work with the CBS College Sports Network doing play-by-play announcing for various other sports here at Mason. Work with the Sports Director and station management in building up our sports department and expanding our coverage of Mason sports! This position is for volunteer experience and can lead to some great opportunities. All applications should be sent to WGMU Management: wgmuapps@gmail.com. Questions may also be e-mailed to this address. A short paragraph as to why you’d like the position, including two specific ideas on how you’d use the position to make WGMU more valuable, engaging and available to the Mason community. Applications will be replied to within 48 hours. Please email us from your GMU email address. Summer Programming!! Are you interested in WGMU? We are currently experiencing some technical issues and will not be streaming when there is not a live DJ in the studio. At the conclusion of this semester we have three Executive Staff level paid positions opening. If you are interested in applying, please see below and follow the steps closely. If you do not follow the instructions properly, your application will be automatically disqualified. You will be notified within 7 days of us receiving your application whether or not you will be given an interview with the Program Director and the respective outgoing departmental director. Our Faculty Adviser, Prof. Rodger Smith, might also sit in on these interviews. Music Director: The MD is responsible for the entire station’s music supply. This includes, but is not limited to, all music on the general shelves, rotation and all music in the automation system. The MD is responsible for the approval of any music to be played on WGMU. He/she is also responsible for communicating with record labels, their representatives, promotion companies, bands, artists and etc. He/she is also responsible for charting/logging all music played by on-air personalities to the College Music Journal. Additional duties may be assigned. Think of it this way, the MD shapes the sound of WGMU. Having a vast background/knowledge of music is a plus. Promotions Director: Assumes the responsibility to market and promote WGMU throughout the University community and the D.C. metro area. Works in coordination with other University offices or student organizations to form relationships and co-sponsorship of events. Works closely with all members of the WGMU staff in promoting the things they are doing. 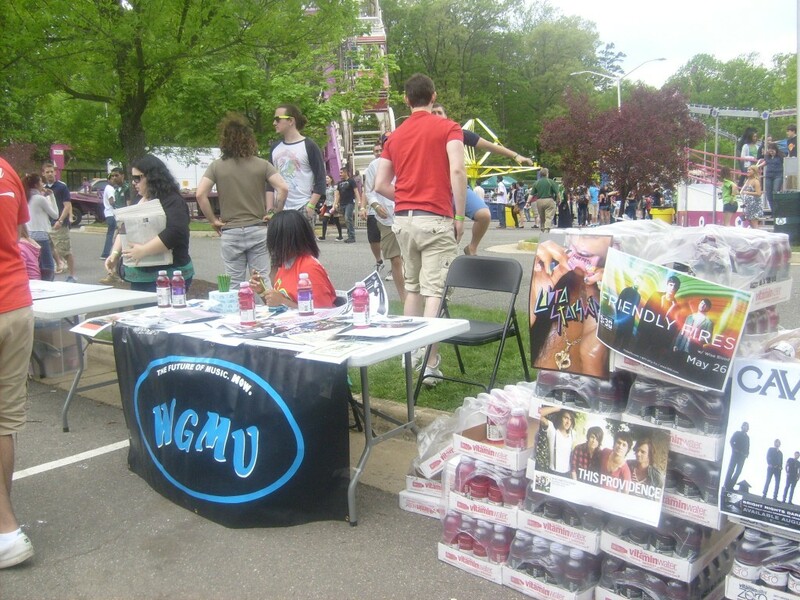 Works to promote the on-air broadcasters of WGMU and their shows. The Promotions Director is also in charge of overseeing the production of various events WGMU is the main sponsor of throughout the year. Goal of this position is to raise awareness of the station and attract more listeners. Background in promotional work and/or related studies is a plus. Assistant Program Director for Broadcast Operations and Production: Due to budget constrictions, the position of production director is being scrapped and combined with the APD position. The current holder of this position is interim, therefore it is being posted. The APD is responsible for overseeing the overall operations of the on-air and production studios. This includes, but is not limited to, the on-air program schedule, the production studio schedule, creation of PSAs, some creation of station commercials, overseeing the enforcement of all WGMU policies that pertain to the broadcasters and those who use the Production Studio. The APD is a broadcasters first contact for any and all matters related to the on-air and production studios. He/she also serves as the senior adviser to the Program Director on all matters pertaining to WGMU. He/she may be assigned additional tasks related to the programming/operational aspects of WGMU. Proficiency in Adobe Audition and management experience is a plus. Only those who currently are and will be a GMU undergraduate student in the Fall of 2011 may apply. The closing date for these positions is May 6th at 5pm. Applications received after then will not be considered. All final decisions will be made after May 6th. All information should be emailed to wgmuapps@gmail.com from your GMU email address. Submission in a single PDF file is preferred, but separate documents are acceptable. Each position listed is for $100 per week, at least 10 hours per week required. Please note the position(s) you are applying for. Please note whether or not you are work-study eligible OR interested in holding the position as internship academic credit. A general idea of your availability. A copy of your resume with at least 2-3 examples of related work experience. Cover letter including two specific ideas on how you’d use the position to make WGMU more valuable, engaging and available to the Mason community. you to Spring Jam Fest 2011! When, where, and what is Spring Jam Fest 2011? What will be at Spring Jam? SpringJam Fest will not only showcase some of the top local/regional bands and bring in some of the most well-known artists in the world, but we will also have games, activities, and events for the whole family to enjoy. Artists will be hanging out in the crowd all day as well to connect with you and sign autographs. Fill out a volunteer form. We would love to have you be apart of SpringJam! Volunteers get all day free admission into the festival. Unable to volunteer? No problem! We would still love to see you at SpringJam! An easy and simple way to get involved is by spreading the word on our promotions page and passing flyers out to your friends, neighborhood, churches, venues, restaurants, radio stations, organizations, and even just putting them up at traffic intersections. Anything is a huge help. Yes, we will have several food vendors there to cover a variety of food types. Everyone you know! Bring all of your family and friends! Spread the word! Bull Run Special Events Center is an awesome venue that seats up to 12,000. Feel free to bring food, blankets, lawn chairs, umbrellas, and even a football to toss around! There is plenty of space at the event to ensure everyone has a great time. Is there a cost for parking, how far away is the parking lot? Parking is FREE! The parking lot boarders the venue as well, so there is no long walk. Tickets are just $12 for groups of 15+ and $15 in advance! You can purchase tickets at iTickets. You can also pick up tickets at the show for $25. many hot names in the music business including “LA Weekly”. REMEMBER TO LISTEN TO WWW.WGMURADIO.COM for the most updated information about this event.